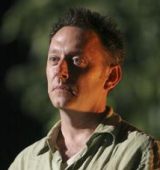 Kali.Amanda sends the following link to an interview with Lost’s Michael Emerson! I think last week’s episode, “The Other Woman”, sent Ben’s creepy meter up a couple of extra notches. I did get me thinking about what’s going on with him. How could a guy who said he could cure Juliet’s sister’s cancer, a guy who lives on an island where people who were crippled can now walk… how does a guy like that get sick? How could he contract that tumor? There’s a lot of talk about “people on the list” and “good” people. What if Ben’s behavior towards Juliet and his intention of keeping her on the island prevented the island’s healing characteristics not work on him? What if the whole reason he’s sick is his own fault? Tonight’s show is titled “The Other Woman”, and (I think) centers around Juliet. 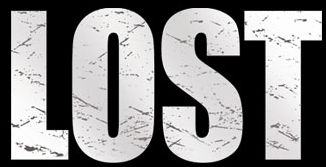 I re-watched Season 3 and the webisodes recently, and between that and the name of tonight’s episode: Is it possible that Juliet and Ben had a “fling” at some point? Yeah, yeah…creepy, I know, but I really got the impression of that when I saw the webisode.